The CycleOps Wind Trainer is an indoor bicycle trainer that mimics the feel of riding on the road through vortex blade technology. Although it has been on the market for years, this product retains a consistent high rating in the price range just under $150. Experienced cyclists and casual riders appreciate easily adjustable resistance to accommodate varying levels of personal fitness. Storage requirements are minimal as the steel frame is fold-able for fitting into a small space when not in use. The CycleOps Wind Trainer fits most standard bicycles and provides the assurance of a full lifetime guarantee. Wind Resistance – Each rider has a completely customizable experience on the trainer that features resistance reaching over 600 watts. It can be adjusted either by pedaling at an increased speed or manually switching gears. Foldable Design – The trainer is made of high-quality steel, but can be folded to save space when not in use. Simply remove the bike by pulling the quick-release skewer and then slide frame together so that it is compact. Vortex Blade – A unique vortex blade design increases resistance progressively rather than jumping to a more difficult setting. This gives the rider an experience closer to a real outdoor session rather than simple indoor training. Simple Assembly – CycleOps Wind Trainer comes with a manual for setup, and it is easy to put together in a few simple steps. Asymmetric Leveling Pads – Cycle without rocking by adjusting the feet individually to accommodate for any flooring that is not level. 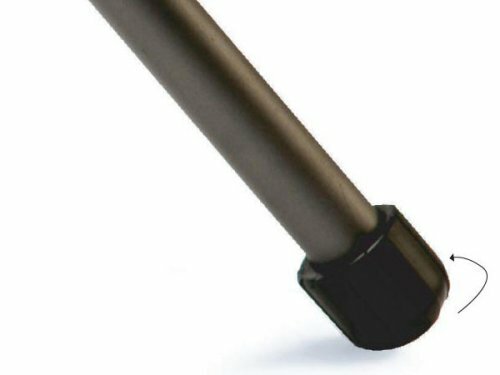 High Compatibility – A quick-release lever makes it easy to accommodate most standard road or mountain bike styles. The locking mechanism is sturdy enough to provide comfort and security during strenuous training. Two Week VirtualTraining Trial – Test out the VirtualTraining software without making any monetary commitment. This feature tracks data, enables riding along with exciting virtual routes, and connects with other riders to compete in motivational challenges. Lifetime Guarantee – All components are built to last, however, CycleOps guarantees to replace or repair any piece that does not hold up to wear. Assembly Required – The CycleOps Wind Trainer does not come put together ready for use. A few components must be carefully assembled according to the included instructions before attaching the bike for a ride. Noisy – Regular cycling for physical therapy or a low-impact ride may not generate a noticeable amount of noise. However, the noise during a strenuous workout can be disruptive if located in an apartment building or at home with other people. No other piece of equipment matches the features for the moderate price range of the CycleOps Wind Trainer. Similar products, such as the Kinetic Cyclone Wind Trainer, are not as moderately priced for the equipment features. A major noise complaint in the CycleOps model is expected of all wind trainers that allow an outdoor feel to indoor equipment. Assembly is simple enough for any user that can understand written directions, and there are very few steps to be completed. Riding indoors with the feel of wind resistance is perfected through the Vortex blade design. Competitor models do not provide as smooth a ride, especially as speeds increase during a more strenuous training session. Fluid trainer models at the $150 price range do not last long before inevitable leaks compromise the resistance levels. Motivation to stay in shape can become difficult in winter when it is less comfortable and safe to cycle outdoors. Owners have the benefit of trying out the VirtualTraining software without any obligation to commit to a full membership. Competition among other members keeps the motivation level high and breaks the monotony of training for hours at a time. Overall, the CycleOps Wind Trainer is a top choice among its close competitors for the price, quality, and beneficial features. Anyone in the market for an indoor trainer that is built to last without making a major monetary investment should give this model a try.